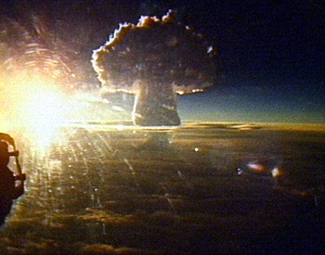 ...the "Tsar Bomba" was detonated, a 57 megaton (!) device that is the single most physically powerful device ever deployed by mankind (that we know of). 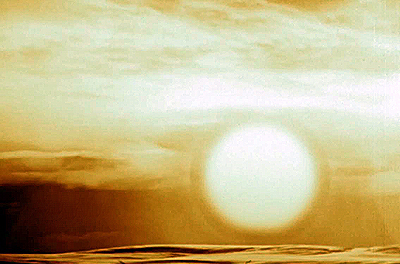 The diameter of the fireball (seen above) was five miles. The energy released in the blast was roughly equivalent to ten times the entire firepower unleashed in WWII -- including the two US fission bombs. Think perhaps it's time we meditate for peace and outgrow war? This pic was taken A HUNDRED MILES AWAY.